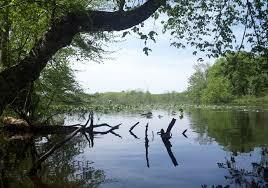 Lake Cunningham is 376 acre lake located near Greer South Carolina in Greenville County. 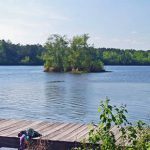 Greer Public Works owns and maintains this lake with strict regulations designed to protect the lake. 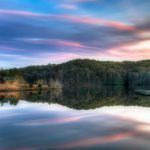 Along with its sister lake, Lake Robinson, Greer takes great pride in these two lakes. 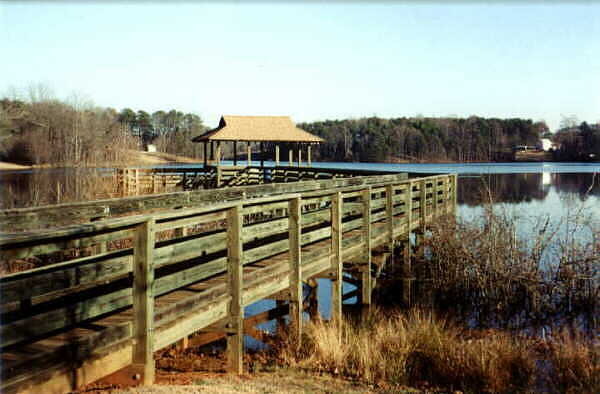 Lake Cunningham is 376 acre lake located near Greer South Carolina in Greenville County. 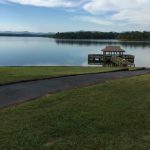 Greer Public Works owns and maintains this lake with strict regulations designed to protect the lake. 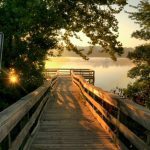 Along with its sister lake, Lake Robinson, Greer takes great pride in these two lakes. There is a public park on State Highway 101 at one end of the lake. 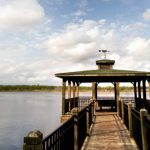 This park has a boat ramp, playground equipment, fishing pier (pictured above), and a good view of the lake. 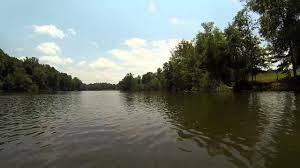 Several Regulations apply to Lake Cunningham. 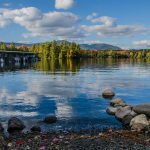 A boating permit must be purchased prior to launching a boat. 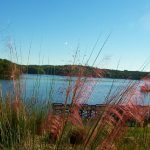 These permits must be purchased at the Lake Wardens office located on nearby Lake Robinson. 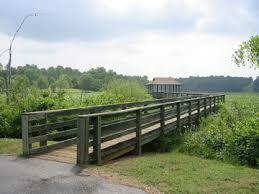 Location: 3 miles north of Greer, South Carolina on State Highway 101. Greenville County. 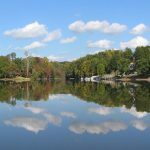 A boating permit is required and can be purchased at the Lake Wardens Office located at nearby Lake Robninson. No fishing allowed around the dam area. No trespassing signs posted, and the law is strictly enforcend. 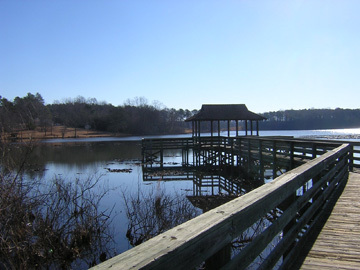 Please note: Lake Cunningham is shown as Greer Reservior on Google Maps.